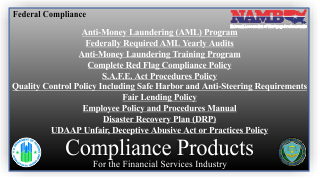 Majestic Security offers a complete menu of compliance products. Being compliant does not have to be time consuming or expensive! As former brokers, we understand you are in business to make loans, not to spend all your time on compliance. So we make it simple and cost effective.